Whether you graced the Town Hall with your visits or if we stood shoulder to shoulder, demanding urgent change, for the sake of your future and the future of our planet. You should know that you are now and forever my real inspiration. You are my real fuel to keep fighting for a better world, without fear, without holding back. Your passion empowers us, and your sense of priorities and urgency keep us in check. I am, and will be, eternally grateful. I’m not a hero or perfect in any way. But I hope I’ve used this platform well enough to get you thinking more critically about politics, and how it affects everything and everyone. I may not be lord mayor for much longer, but the battle to save the world will not end anytime soon. From my end, I make a pledge to fight by your side, to carry you with me wherever I go and in every decision I make, with your best interests at heart. I personally think he’s had a great term. His title gives him little power in the grand scheme of things so his role is to engage with the community. He’s raised loads for charity and engaged some of the younger generation in Sheffield in politics. Hats off. 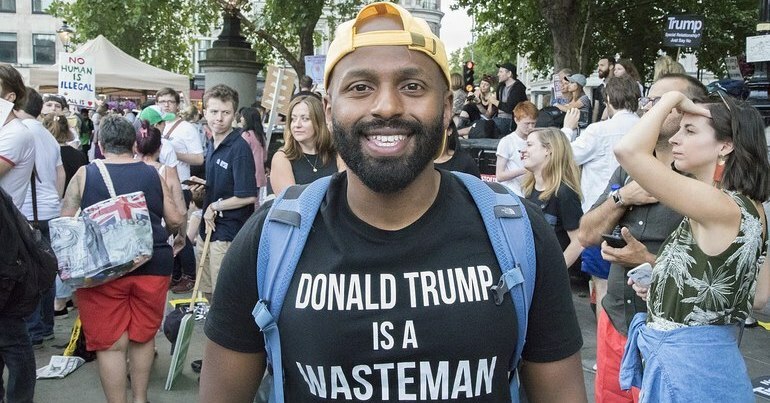 With Magid now setting his sights on potential European parliamentary elections, it’s unlikely we’ve seen the end of his career at the forefront of Green politics just yet. 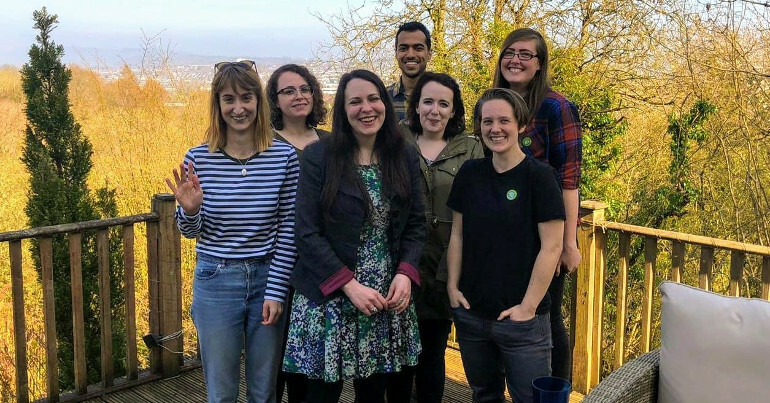 The Scottish Green Party has hosted its spring conference in Edinburgh this weekend. Held at a turbulent time for politics in Scotland and across the whole of the UK, the party used the opportunity to set out its vision for Scotland, and its responses to the challenges of the day. I understand why some in the SNP want to wait for clarity on Brexit before they decide on the timing of the independence question in the future. The trouble is that clarity may not be coming around the corner. If there’s an extension even of months, possibly longer, then that clarity won’t be emerging, and we may miss the window of opportunity in this session of the Scottish Parliament. I don’t want to see that opportunity missed, and the reality is there has already been a material change of circumstances in Scotland. I think we very clearly do need some clarity from the Scottish Government about what’s going to happen with the timing of an independence referendum. We need to have the time to pass legislation through the Scottish Parliament to ensure that that’ll happen, and we have a majority for that at the moment. But we also need in principle a clear defence of the fact that Scotland has the right to make this decision. Elsewhere at the conference, Maggie Chapman – the party’s other co-convener – gave a powerful speech, also heavily contextualised by Brexit. But she also focused on the wider political framework in which Brexit is situated, hitting out at neoliberalism and the legacy of Margaret Thatcher. We have had 40 years of an economic system, propped up and enabled by a pathetic yet oppressive political system that has alienated people, marginalised communities, and destroyed so much of the planet. Neo-liberalism, with Thatcherism and its continuation in New Labour Blairism, has acted like a cancer. It has eaten away at the very essence of what it means to be human. It refuses to accept that there is intrinsic value in caring for others, in being creative, and in cooperating with each other rather than competing for everything. It has spread its tentacles into every aspect of our lives. It is destroying the NHS south of the border and the welfare state, commodifying education and culture, inflating housing bubbles and creating crippling debt. And while it knows the price of everything, it understands the value of nothing. It exploits human labour, decimates non-human species, and pollutes our life support systems. We’ve had 40 years of failed top-down approaches to tackling climate breakdown. The school strike movement is a real example of social movement driven change. I’ve said before that now is the time to be radical. This is what I mean by that. This is important because it’s exactly what we need right now. Chapman’s speech to the Scottish Green Party conference wasn’t her only prominent intervention this week. She was also vocal in her condemnation of the Sultan of Brunei, over the country’s recent law change which would see homosexuality punished with the death penalty by stoning. 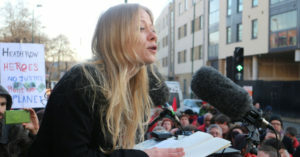 Alongside her role in the Scottish Greens, Chapman is also the Rector of Aberdeen University. And this week she used her position to call for the university to strip the Sultan of Brunei of an honour the institution had bestowed upon him. Honorary degrees are given in recognition of great achievement, of great work, but we cannot as an institution say that those are not affected by broader concerns. The recent changes to the law in Brunei against people who identify as different sexualities is just completely unacceptable. We really, really have to take a stand on this, and stand in solidarity. She was also joined by other Greens. 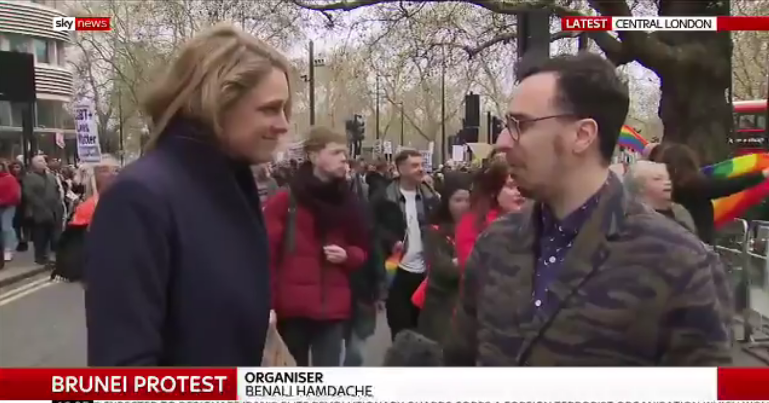 LGBTIQA+ Greens [of England and Wales] co-chair and London Assembly list candidate Benali Hamdache was involved in coordinating a protest in London against the new homophobic laws. In a by-election in the South Wales constituency of Newport West, Ruth Jones held the seat for Labour. The seat was reasonably safe, having previously been held by the popular and much loved MP Paul Flynn. 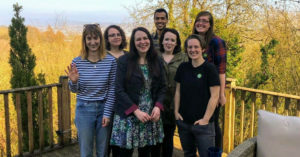 However, Green Party of England and Wales Deputy Leader Amelia Womack fought hard to increase the Green vote in the by-election. In doing so, she successfully delivered the highest ever Green vote share in Newport West in history. At 3.9%, this was more than three times higher than the vote share received by the party in the 2017 General Election. Womack also received almost double the number of votes Greens won last time, despite turnout having nearly halved. As the UK looks ever more likely to be participating in the forthcoming European Parliamentary elections, the Scottish Green Party has made clear its intentions. It wants to remove UKIP MEP David Coburn. 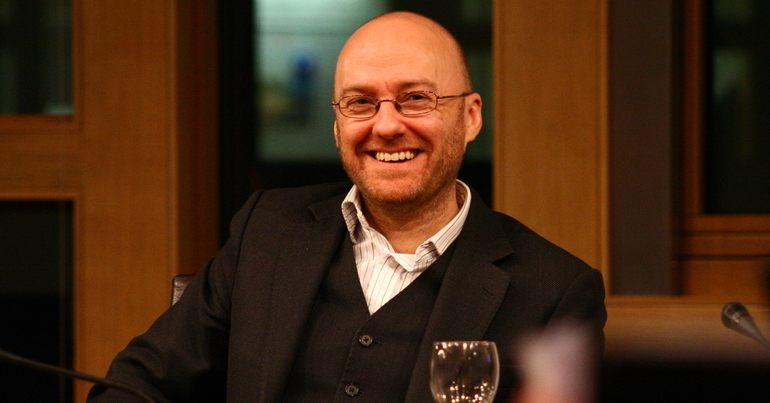 The Scottish Greens would jump at the chance to help Scotland unburden itself of its bizarrely incoherent far-right MEP, and to elect someone who can make the case in Europe for the Green New Deal Scotland needs. An MEP who will advocate for an urgent and radical shift away from the oil and gas industry and into clean energy, and ending our reliance on arms manufacturers and corporate tax dodgers, in favour of an economy that puts the public interest first, working in partnership as part of the European family we belong to. In the last European Parliament elections, the Scottish Greens came just 2.4% behind UKIP, who picked up the final seat in the Scotland constituency. Had just 40,000 SNP, Labour or Liberal Democrat voters lent their votes to the Greens, they could have stopped UKIP electing an MEP, while not harming their preferred party’s representation. 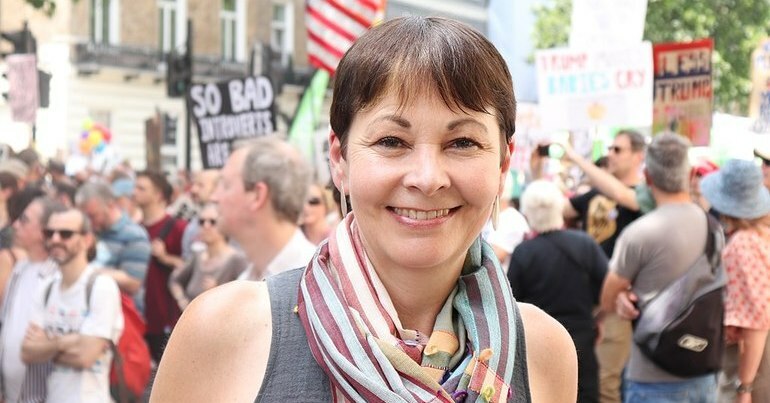 Green MP Caroline Lucas was in Bristol this week, appearing on an episode of Radio 4′s Any Questions?. Also appearing on the show was Labour’s Barry Gardiner, Tory MP Kwasi Kwarteng and a member of aviation company Airbus’ senior management. In a heated segment on the show, Lucas hit out at the aviation industry and its role in driving climate change. She alleged that aviation contributes around eight to nine percent of greenhouse gas emissions. we’ve got 11 years in which to halve global climate emissions. I mean, that is a really extraordinary deadline in a way – it’s incredibly close. And you can’t kind of bargain with the climate. It doesn’t matter that you might be trying your best or you’re making planes a bit more efficient… Of course flying is a wonderful thing to be able to do, but why on earth are we celebrating the fact that just down the road, they’re now starting flights between Heathrow and Newquay in Cornwall? Why aren’t we investing in a decent rail service that people can depend on? 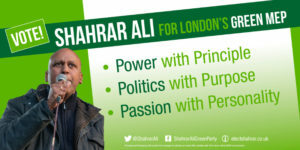 This week, London Green Party announced its slate of 8 candidates to fight the elections. 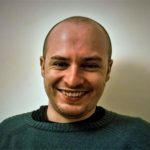 In the event the elections do take place, Ainslie will be fighting to secure a Green seat in London to replace Jean Lambert as the outgoing MEP. The announcement of the London list comes after the North West announced their candidates last week.